IDW Comics, Hasbro & March 2019 Solicitations Spoilers: Transformers Return Bi-Weekly! 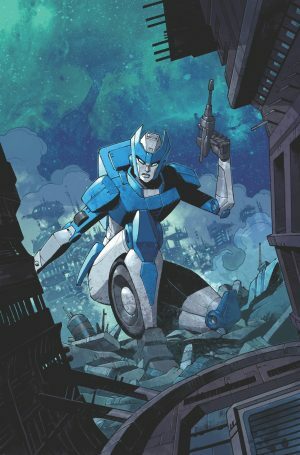 IDW Comics, Hasbro and March 2019 Solicitations Spoilers follows. 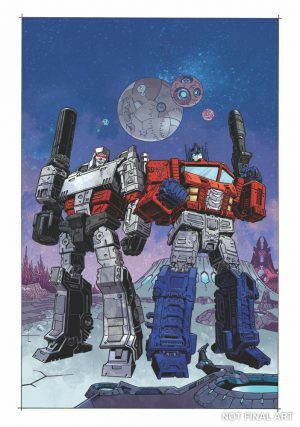 The latest incarnation of the mythology of the popular franchise will begin before the conflict between Autobots and Decepticons. 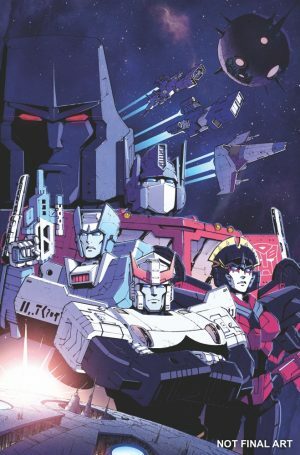 The war between Autobots and Decepticons will start all over again in 2019, but IDW Publishing’s ambitious Transformers comic book relaunch is, fittingly, more than meets the eye — expanding the franchise in new directions by revealing the origins of the conflict that traveled from Cybertron to Earth and beyond. The new series, titled simply Transformers, will see writer Brian Ruckley and artists Angel Hernandez and Ron Joseph tell the story of Cybertron before the war, and of the mysterious death that ended an age of peace on the planet. Bumblebee, soon to star in his own movie, will be one of the protagonists of the new title, which will publish twice a month. The first two issues of the series will be available in March, with both issues featuring multiple covers by artists including Gabriel Rodriguez, Freddie E. Williams II and Jeffrey Veregge. Hernandez and Joseph will also provide covers.